On the basis of Aeon’s Basic Principles, “Pursuing peace, respecting humanity, and contributing to local communities, always with the customer’s point of view as its core,” Aeon, since the time of its predecessor, Okadaya, has worked on creating frameworks for diversity management; the idea of building a workplace that draws on the strengths of diverse human resources. Aeon respects human rights and resists any discrimination based on nationality, race, gender, educational background, religion and disabilities. In 2013, Aeon set out to become the most ideal company for women with women-friendly working environment where they can display their full abilities, while setting goals of increasing the rate of female managers in its Group companies to 30% by 2016 and to 50% by 2020. To achieve these goals, Aeon established the Diversity Promotion Office in 2013 under the immediate control of Group CEO. The Office has led Group-wide efforts in promoting diversity, helping Group companies develop diversity framework. J-Win is a nonprofit organization comprised of workers from 108 registered companies. Established in April 2007 with a view to supporting companies to promote and establish diversity management, the organization rolls out various initiatives; conducting surveys and holding J-Win Diversity Award, a yearly event regarding to career development for female workers. Moreover, the organization works to nurture female business leaders and develop their capabilities by providing opportunities for female workers across industries to build networks and engage in positive rivalry with each other. The organization, through these initiatives, strives to create a society where every individual can exercise his or her full potential. Ministry of Econony, Trade, and Industry (METI) hosts Diversity Management Selection 100 with an aim to expand the base for promoting diversity management. 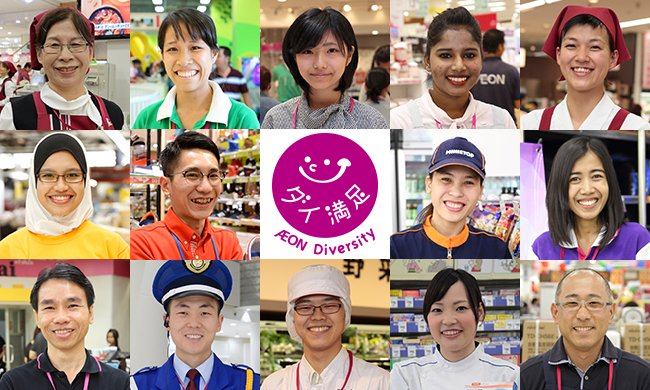 In the program, METI recognizes enterprises of various sizes and in various industries that proactively make efforts towards promoting diversity management as those possessing a management capability that contributes to Japan economic growth. In 2012 when the project first started, METI selected 43 outstanding enterprises, 46 next year, and 52 in 2014. The initiatives of the selected enterprises will be compiled in a collection book as best practices and publicized, which is believed to accelerate the move in society towards employing and leveraging diverse human resources.